I always wish I took more photos when I was pregnant so I could look back at that time from a more objective standpoint or even to compare between pregnancies. When I look at the few I do have, I pretty much need to sit with a calendar to work out how far along I was. Pregnant ladies, take note, Milestone Pregnancy Cards are worth the effort – especially ones as cute as these. Milestone Pregnancy Cards are a great way to capture all stages of your pregnancy by simply holding them when you pose for a photo. 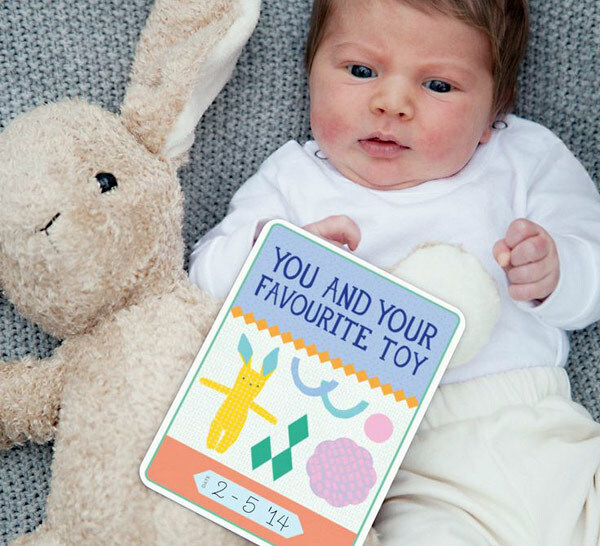 There are 30 different cards to span your pregnancy and the newborn phase including ‘We found out you are on the way’, ’8, 12, 20, 28, 34, 40 weeks’, ‘first kick’, ‘your room’, ‘we now know you are a boy/girl’, ‘first outfit’, favourite toy’, ‘you and your mum’, ‘you and your dad’, and many more. Milestone Cards are a Dutch product but the delightful designs are by Australian designer Beci Orpin. Exquira are just releasing them in Australia so be a trendsetter and get your own set, they make great gifts too. 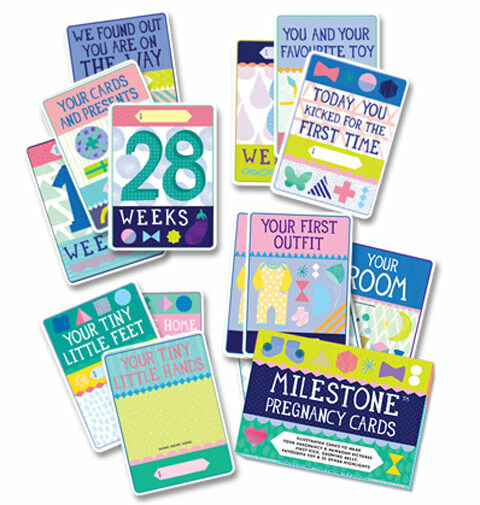 You can purchase Milestone Pregnancy Cards for $29.95 from Kids Lifestyle.